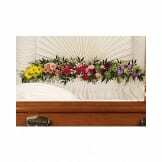 Placing a garland of roses and other beautiful flowers inside the casket is an expression of profound love and intimacy. Traditionally sent by immediate family members as a tender and touching tribute. • The exquisite arrangement includes hot pink spray roses, peach spray roses, light pink alstroemeria, pink miniature carnations, yellow daisy spray chrysanthemums, purple button spray chrysanthemums, green button spray chyrsanthemums, orange snapdragon, lavender stock and purple sinuata statice, accented with assorted greenery. 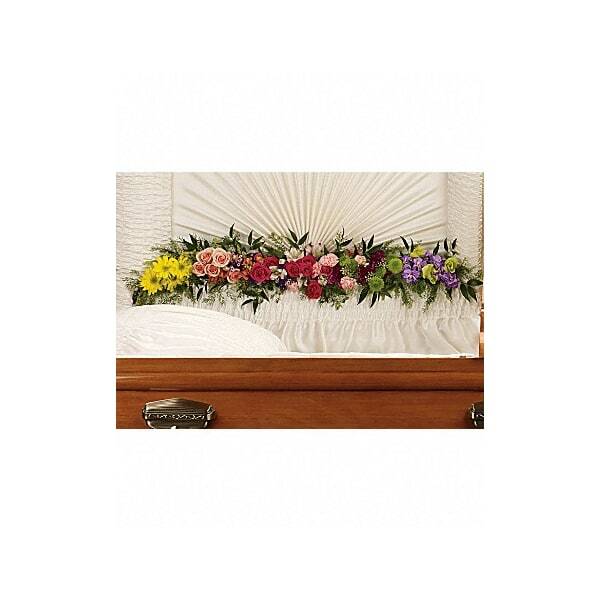 Flowers will be received by a Hot Springs Funeral Home's staff. 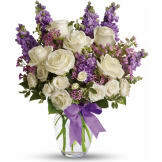 All of our flowers are designed and delivered by hand from a local florist in in Hot Springs.